CFAES scientist Peter Piermarini believes there’s a new, biological way to combat the mosquitoes that transmit Zika, dengue and other diseases: make them unable to pee. Piermarini and his collaborators at Vanderbilt and Cornell universities are looking at ways to disrupt the mosquitoes’ Malpighian tubules, which are the equivalent of human kidneys. As a result, he said, mosquitoes with impaired kidney function would be less likely to escape the human host they are feeding on and survive the ingestion of blood. Piermarini’s team has previously identified a chemical that compromises a mosquito’s ability to excrete urine. 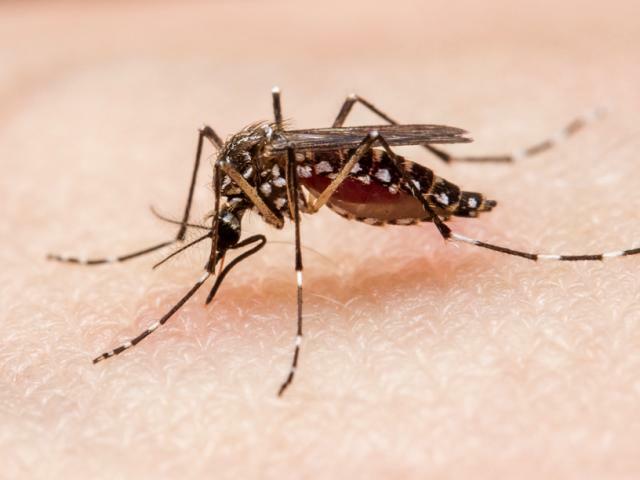 The scientists also recently reported the discovery of 4,000 genes in the Malpighian tubules of the Asian tiger mosquito, which are affected when the insect feeds on blood. Piermarini said existing control measures for mosquitoes are being challenged by the emergence of resistance to conventional insecticides that target the mosquito nervous system. So there’s a growing need, he said, to identify novel physiological targets to guide the development of new insecticides. Photo courtesy MaLisa Spring, Graduate Research Fellow, Agricultural Landscape Ecology Lab, Department of Entomology, CFAES.